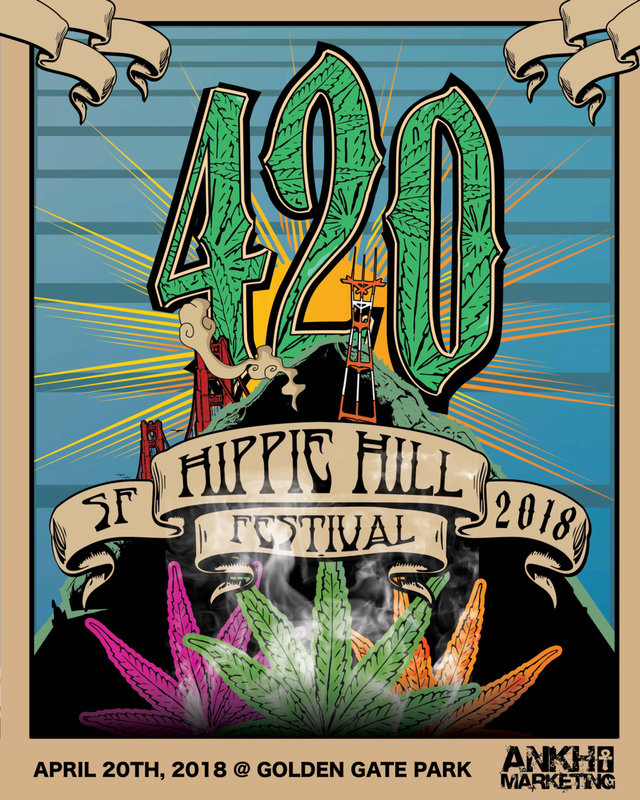 "4/20 at Hippie Hill" is a well known San Francisco tradition bringing tens of thousands of people from all over to celebrate the right to use Cannabis. The The unofficial, unsanctioned all-day event takes place every year on April 20th in the Sharon Meadows area of Golden Gate Park, AKA Hippie Hill. As the event grows each year, the impact on the park becomes larger, the crowds become bigger, and the safety risks increase. Our biggest priority is the health & safety of attendees and surrounding neighborhoods. Members of the community are working together with city departments to provide logistics & amenities that will make this organic event safer and more organized. Additional services include: food vendors, bathrooms, increased security, emergency medical crews, and increased clean up service. Currently, city departments are spending substantial amount of money to support this event each year, but we see room for additional improvements outside of the current budget available. This year, we will be bringing in sponsorship dollars to provide more complete services that an event of this size requires. With additional sponsorship dollars we can make several improvements to the event to ensure less damage to the park and increased safety for patrons and the surrounding neighborhoods. 4/20 is a unique free event bringing thousands of people from all walks of life together under a common shared interest. In2016, there were several reports of violence & theft, and tons of trash left behind (literally 22,000 pounds = 11 tons!!) With this, it was at risk of being shut down. Rather than shut down the event, the park, neighborhood, and organizers would like to do what it can to preserve what few community traditions San Francisco has left. Sign up with your email address to receive news and updates regarding the event.